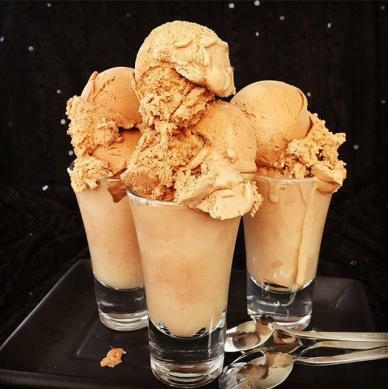 ‘Tis the season for all things yummy and delicious, and when the snow falls and the tinsel flies, our local food purveyors step it up with some extra love for the holiday season. 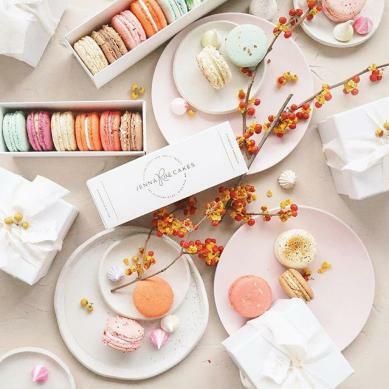 We’ve put together this handy gift guide for when you’re seeking out the perfect host(ess) gift or looking to wow the foodie in your life. Sugar and spice and everything nice–we’ve got gifts for sweet, spicy and salty tooths alike. Picture perfect sweets are the meringue and butter at Jenna Rae Cakes where the treats get snapped up, often before noon. 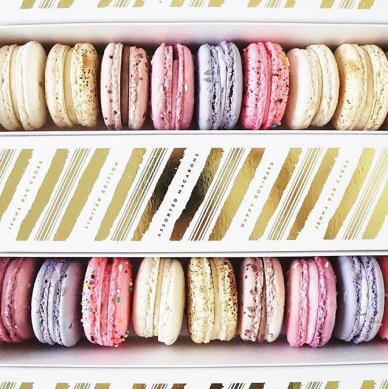 Pick up a gorgeous sleeve of assorted macarons housed inside an elegant golden box for everyone ‘nice’ on your list. 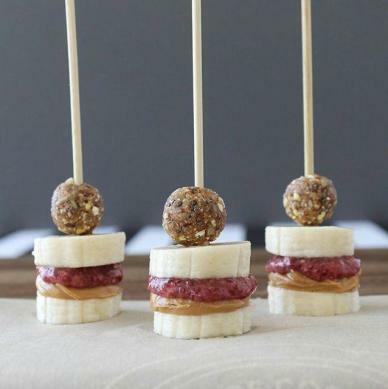 Not just delicious, these edible works of art are just begging for a Gingham filter and #bakeriesofinstagram hashtag. They’re only available the week before Christmas, so be sure to get your order in soon. $30 for a dozen. What goes better together than beer and pancakes? Literally nothing. 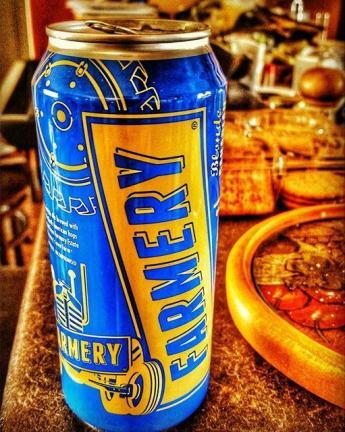 Located near the town of Neepawa, Farmery Estate Brewery is making local brew with ingredients straight from the farm. Pair a six pack with one of their signature flour mixes like flapjacks, beer bread and even chocolate cake–you use the beer to actually make the bread–and you’ve got yourself the perfect beer lover’s gift. 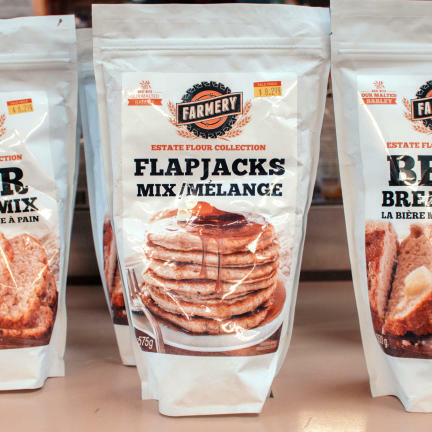 Mixes are available online or at Grand Central Market at The Forks Market. Beer can be picked up at any Manitoba Liquor Mart Location. $6.95 for mixes. $13.14 for six cans. Since you can’t actually give the gift of more hours in the day to the busy parent in your life, give the next best thing. 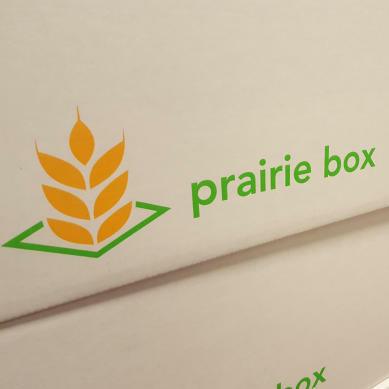 Prairie Box is Winnipeg’s first local meal delivery service offering healthy dishes for busy people. 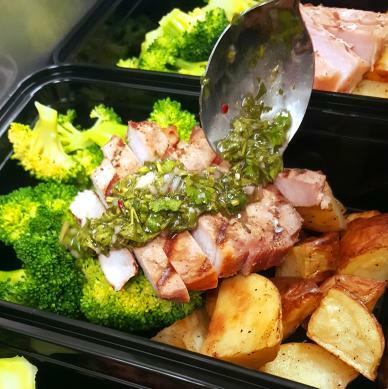 Every Sunday a box of lovingly created, wholesome dinners like rosemary roasted pork tenderloin and honey sriracha glazed chicken breast are delivered to your door. Just heat and eat. Dinner was never so easy. Starting at $9.99 per meal. *Winnipeg neighbourhood affectionately known as the ‘granola belt’ of the province. 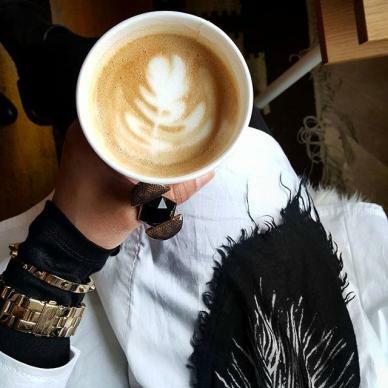 An entirely unscientific poll from our friends at Peg City Grub discovered that Forth Winnipeg is the most Instagrammed coffee shop in Winnipeg, and it’s no secret that any establishment’s level of hipster directly correlates to their IG hits. 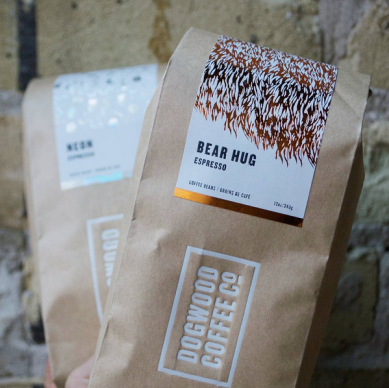 Now you can bring the that hipster coffee culture home to your favourite javaphile with a bag of Dogwood Coffee, exclusively roasted right at Forth. $18-$19.75. If you know someone like us who has been binge watching ‘The Crown’ on Netflix, then we’ve got the gift for them. 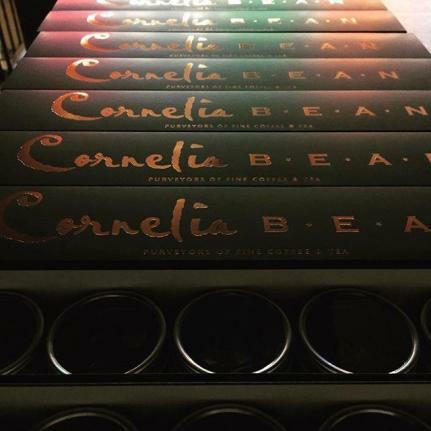 Queen Elizabeth’s early reign is perfectly accompanied by a hot cuppa from Cornelia Bean. (We hear it also goes well with Downton Abbey reruns.) Make it extra steep-worthy with their collection of Christmas flavours wrapped in a pretty box. 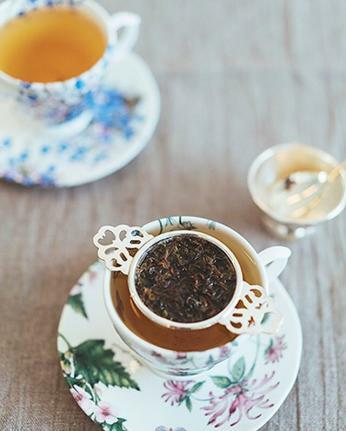 Sip on concoctions like snow cap, candied pomegranate and winter’s secret. $30. 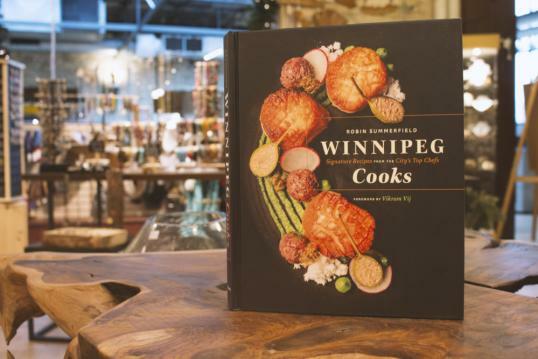 The top chef in your life’s culinary bookshelf isn’t complete without a copy of Winnipeg Cooks. Written by local foodie Robin Summerfield, this weighty tome features recipes and stories from 35 of the city’s culinary trailblazers. Sit back and follow the story of Winnipeg’s arrival on the world epicurean stage back dropped by local ingredients and flavour. Available in bookstores and at online sellers. $34.95. Culinary trends are great (hello, avocado toast), but sometimes nothing beats a vintage classic. Enter ribbon candy, made right here in Winnipeg for over 100 years. 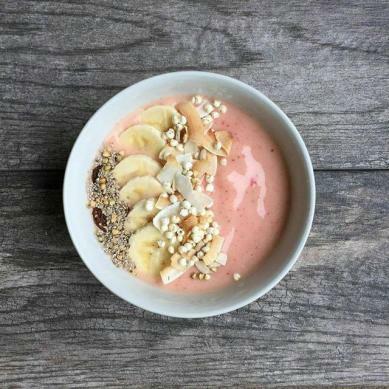 This colourful concoction is the perfect sweet treat for the sugar lover who craves the simple things. We think these make the perfect stocking stuffer too. Pick yours up at The Almond Tree in The Forks Market. $4.25. So we know ice cream probably isn’t the best option to put under the tree for obvious reasons. That’s why we think a pint of Cornell Creme is the perfect idea for that person you just know isn’t going to wait for Christmas morning to open their gift anyway–and you know who you are. 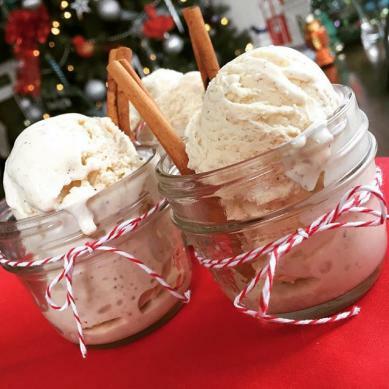 They’ve made it extra cool this holiday with two new flavours–Morden’s chocolate mint and holiday nog. 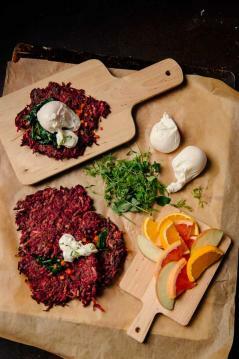 Available at Red River Co-op, Vita Health Fresh Market and Vic’s Fruit Market. $10.99-$11.99. It’s no secret that Manitoba honey is some of the best in the world, and this new offering from Beeproject Apiaries is no exception. 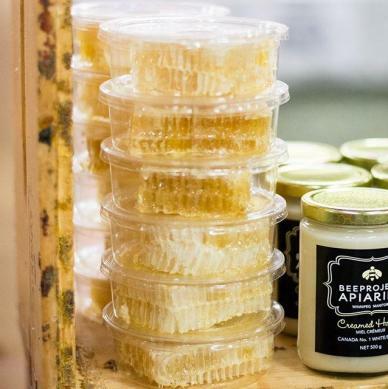 This nursing team turned pair of bee keepers have been lighting up the farmers’ market circuit with their creamy creations. 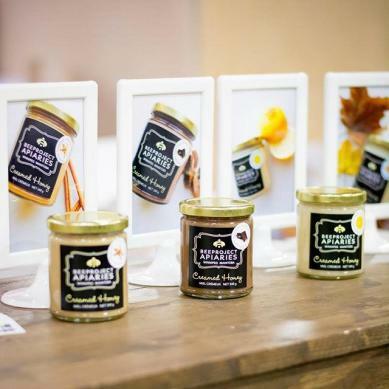 Check out their line of Neighbourhood Honey which is produced from hives living right in downtown Winnipeg. $9. Whether it’s a hot dog or soft pretzel, neither is complete without a dollop of spicy, tangy mustard. 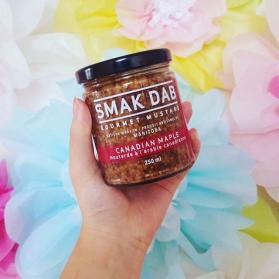 Amp it with flavours from Smak Dab Mustard like cranberry wine, beer chipotle and Canadian maple. The four-jar flavour pack is the ideal way to try them all. 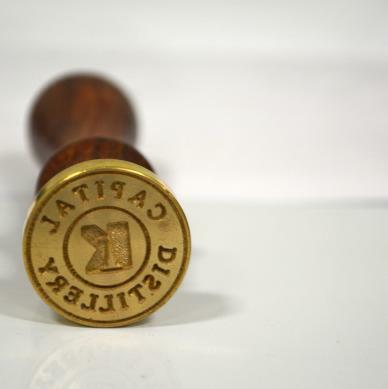 Purchase online or check out the long list of retailers on their website. 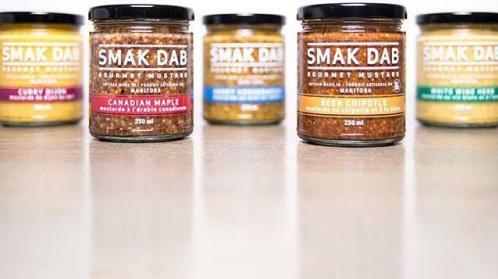 $9 for a single jar, $24.99 for a flavour pack. Manitoba now has its very own brand of craft vodka to call its own. 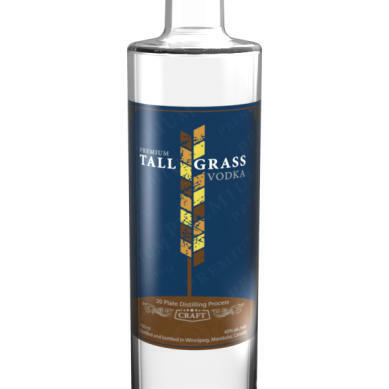 Tall Grass Vodka is distilled right in Winnipeg using Manitoba grown grain and fruits and traditional methods. Wrap it up and gift it straight or pair it with your favourite mix. Either way, it’ll add some spirit to your holiday gathering. Available at Manitoba Liquor Marts. $45.